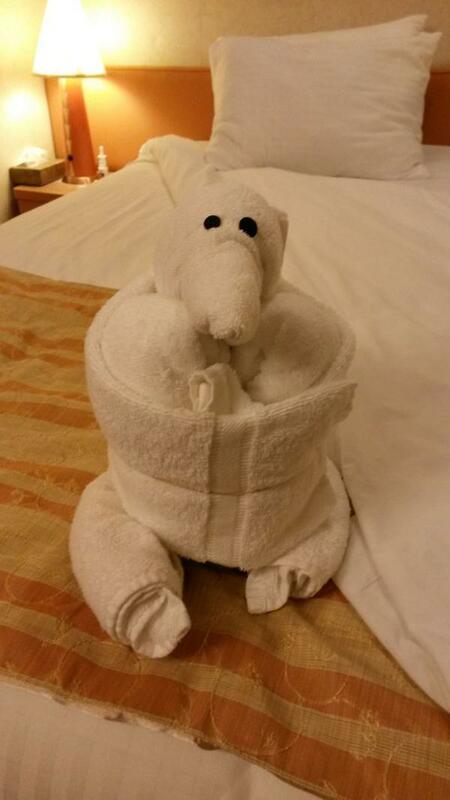 An adorable looking elephant towel origami. 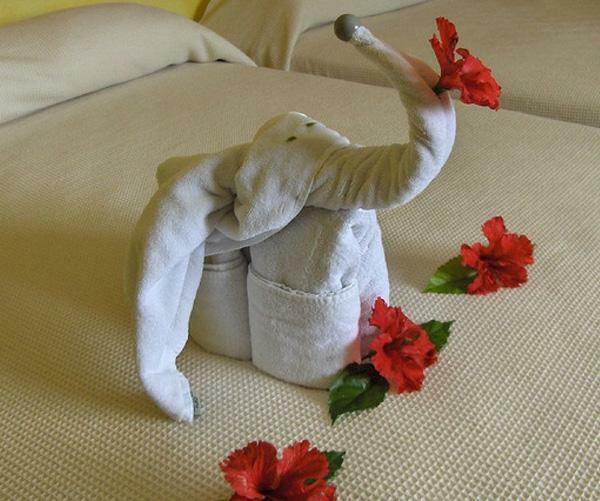 It’s a cute towel design that you can use for the bedroom with subtle accents for the eyes and trunk. 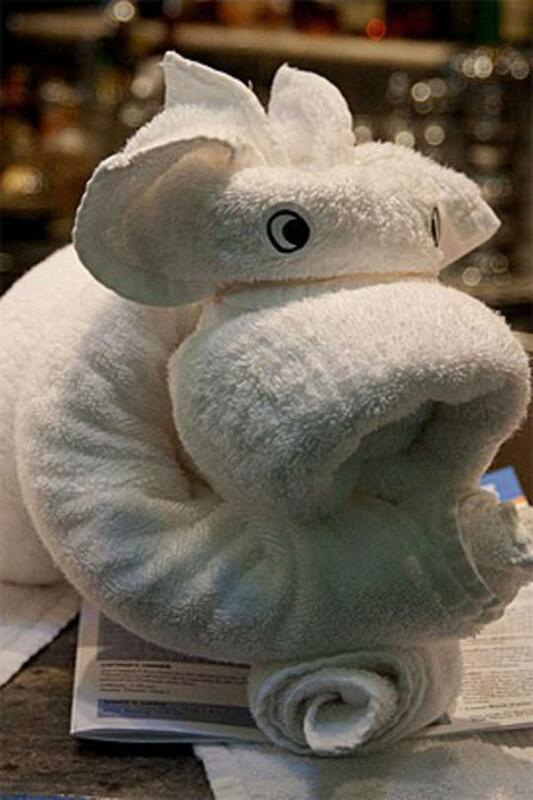 Have you ever walked into a hotel to find creatively shaped towels? They are really amusing to look at and you might wonder how hard it could be to recreate them. 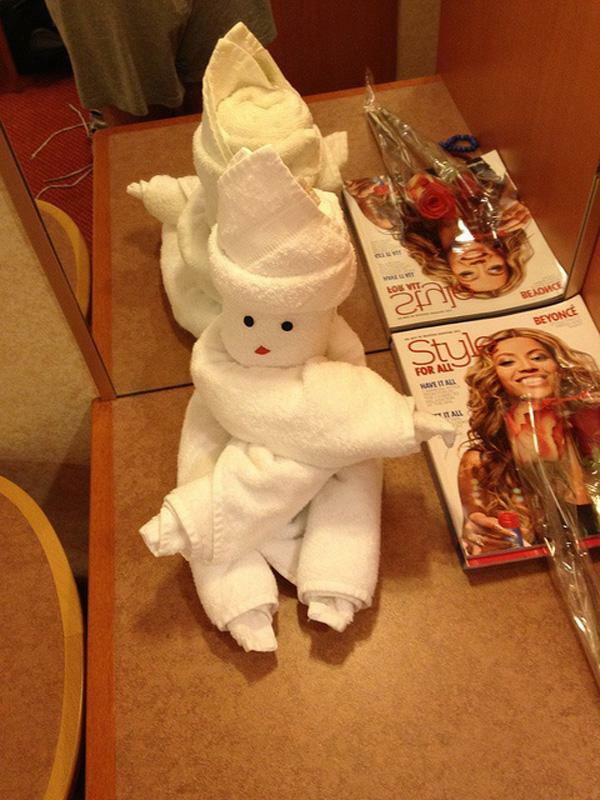 Sometimes towel origamis are also called cute folded towels as well as fun towel folding. There are plenty of ways wherein you can fold towels and they are not as difficult as you think they would be. 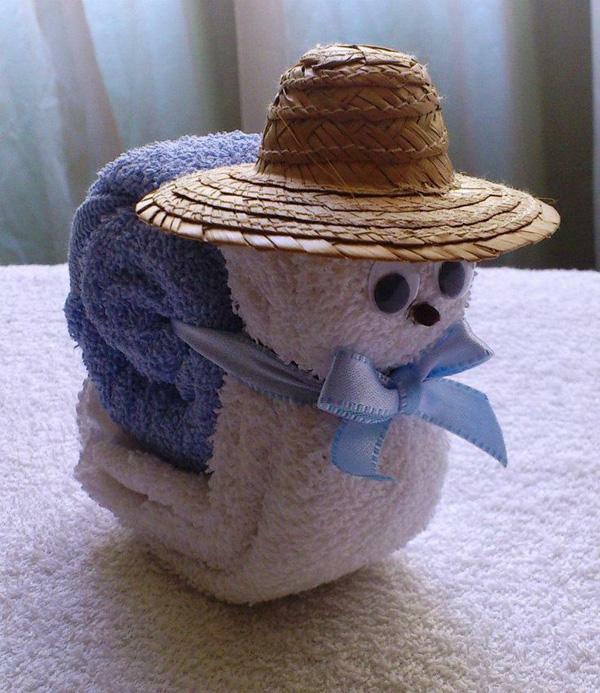 Another cute looking snail towel origami. This design uses two different colored towels for the body and the shell. Accents like the hat, ribbon and eyes are added for effect. 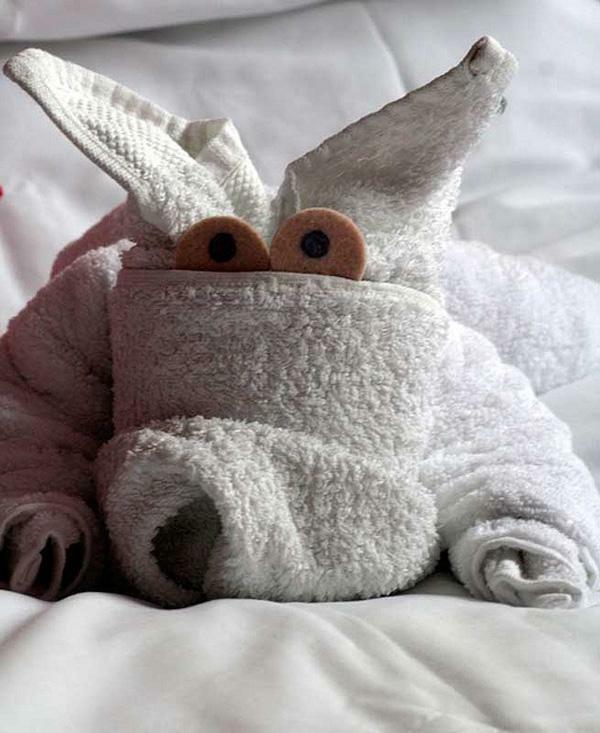 The most popular creative towel folding technique is the animal towel folds. 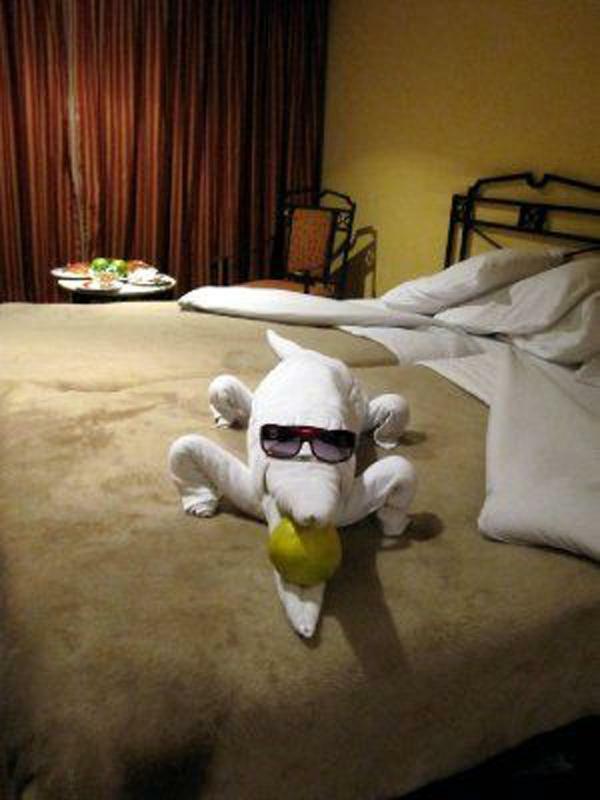 They are very popular with guests in hotels and crew ships and they can really be so much fun to make and look at. If you would like to make your own creative origami towels then there are a lot of tutorials you can look up online. Below are some helpful tips that you can follow to start your own origami towel folding craft. It’s good to start with an animal origami towel since you can have countless additional designs when you start from one animal to the other. 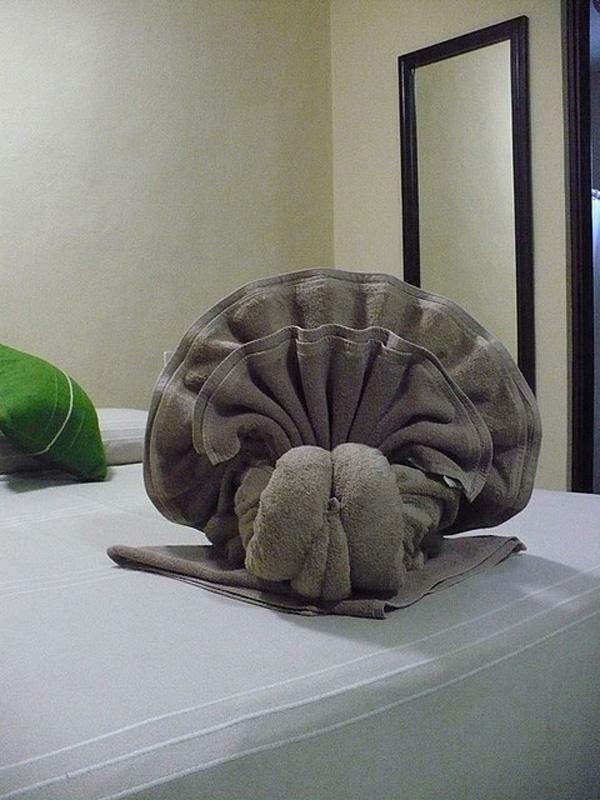 Amazing looking shell towel origami. 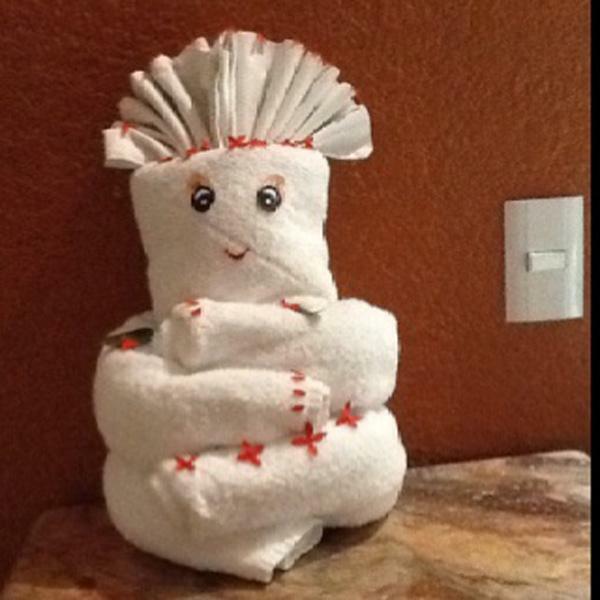 Design your towels into something really creative and fun to look at. Start with placing a clean hand towel on a flat surface. Fold the hand towel in lengthwise position until the fold reaches the middle part of the towel. After this fold the other side. So you have two folds of the towel lengthwise that meet in the middle. Repeat the folds while you leave a third part of the towel open t the bottom part. You will end up with a funnel looking towel. Take the open end and gently roll it inwards. Put your hand on top of the rolled part to keep it in place while you find the corners on the sides of the roll. Pull out these corners in twisting motion mimicking the curled shape of crab claws. After making sure that the crab claws are in perfect shape, start folding the other end of the towel which was left untouched. Keep folding the part in order to create a shell behind the claws. If you have followed the instructions to a tee you will find yourself staring right into your very own crab origami. Be more creative and you can add goggle eyes on top of the towel in the shell area to give the origami a real cute effect. 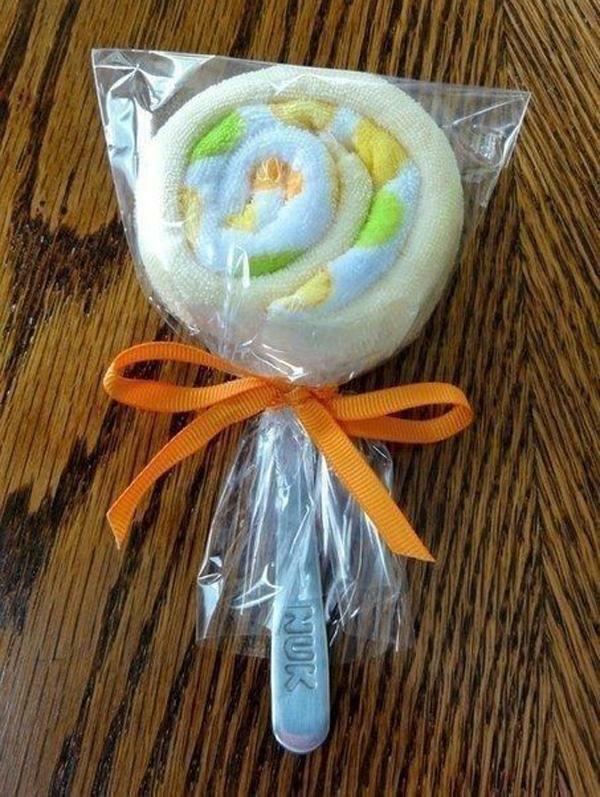 Lollipop towel origami. If you have a multi colored towel then this design would be perfect. Very easy and you can make use of the colorful towel to create color themes. For this tutorial you will need two hand towels and one bath towel. You will need more towels as compared to the crab origami towel from above. Place the towel on a flat surface and start rolling the sides of the towel lengthwise. Roll the sides right into the middle of the towel. You then will have one towel with two rolls in lengthwise position. Lift the other end of the rolls up and balance it on its end. This will be the legs of the cat mimicking a stretching while standing up position. This time get your hand towel and fold it in half. Then fold on side diagonally reaching the other side and leaving a third of the hand towel untouched. It’s the same as when you’re making an origami boat where you fold the paper into a triangle while leaving a small rectangular portion. Put your index finger on the top of the triangle you have made then start rolling the right side diagonally as well until it reached the middle. Then switch your hands and roll the left side this time diagonally towards the middle. You will end up with a cone shaped towel. Place the cone shaped hand towel in between the two rolls of the towel you have rolled in the first few steps. Place it at the end part of the towel rolls where the stretching cat legs should be. Get your other towel and fold it in half. Fold the open end of the towel around ¾ over the top of your hand towel. Flip over the towel and also fold the remaining ¼ part. After this flip the towel back again. Now pull the corner out and make a triangle shape from both sides. It should look like ears drooping from both sides of the hand towel. Start rolling the left folded side towards the middle, and then do the same thing on the other side. Flip this over and put it on the body of the cat you made earlier. Make small fixes if necessary. Add toy eyes and whiskers if you feel like it. Design the environment the way that you like it to be. 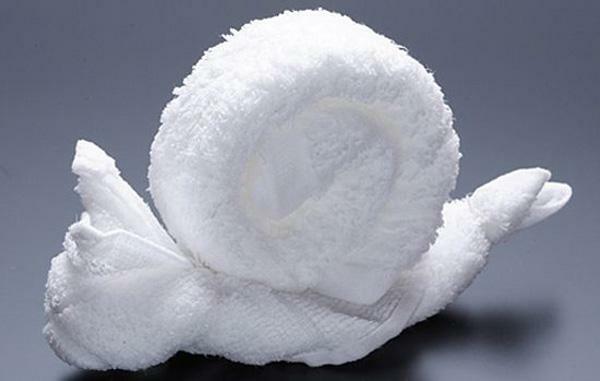 A wonderful looking snail towel origami. Small yet cuddly and you can see how the towel rolls neatly giving the image of the shell. 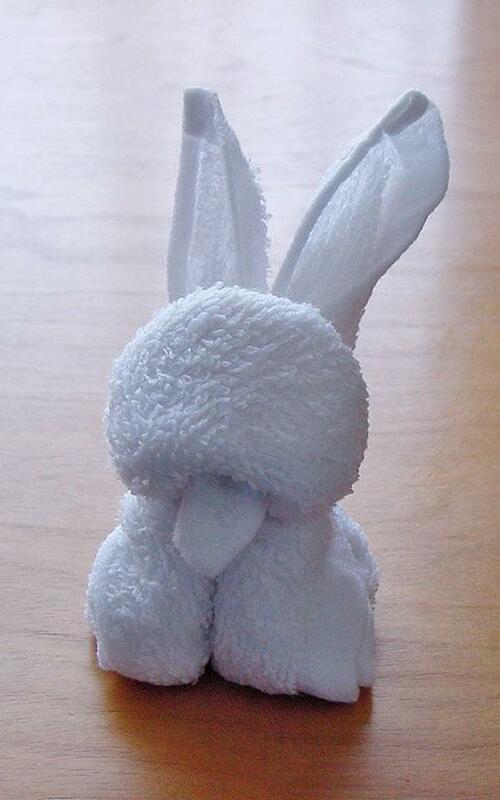 A bunny origami towel. You can see the cute bunny ears popping out from above the head as well as the iconic bunny teeth in front. 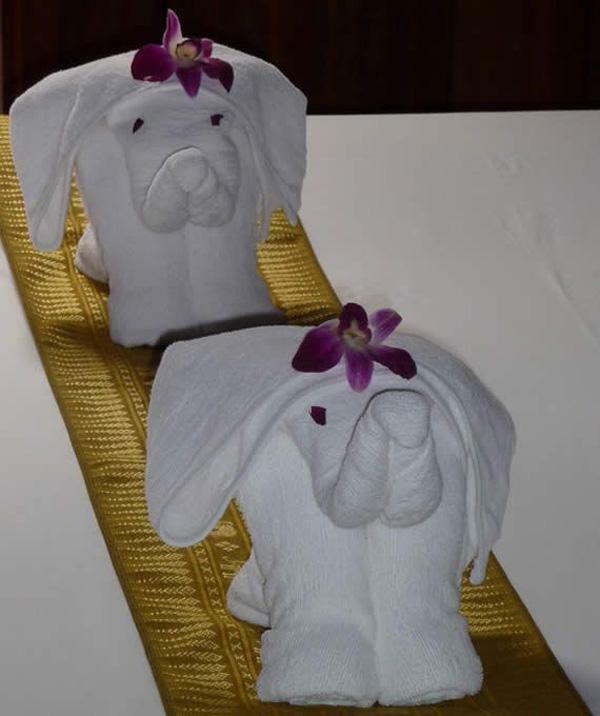 Cute looking towel origami for restaurants. 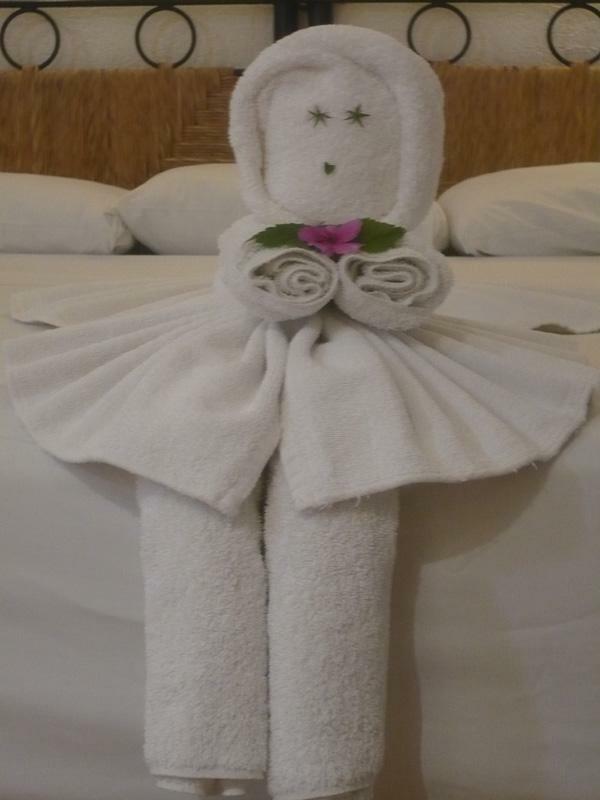 These cute human like towel origami designs have been added with black beads for eyes and red lips for a more interesting look. 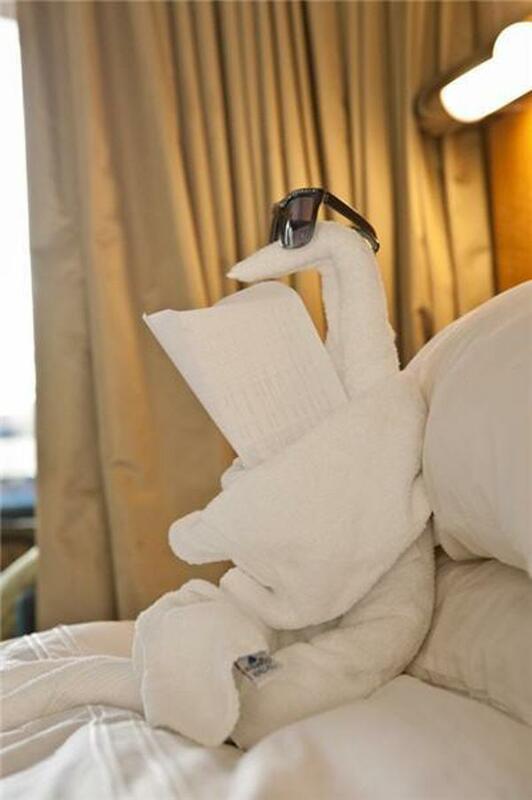 Swan inspired towel origami. Perfect for the bedroom since it displays elegance and class. This is great to work on when you have wide towels to design with. 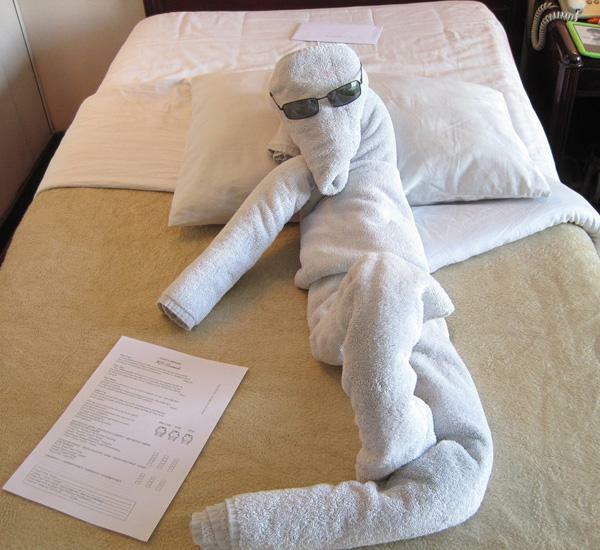 A funny and entertaining human shaped towel origami design. This is a good way to provide humor in your design and the shades adds to the comedic effect. Baby elephant towel origami designs. A bunch of cute and adorable baby elephant towels might just make your day even better. 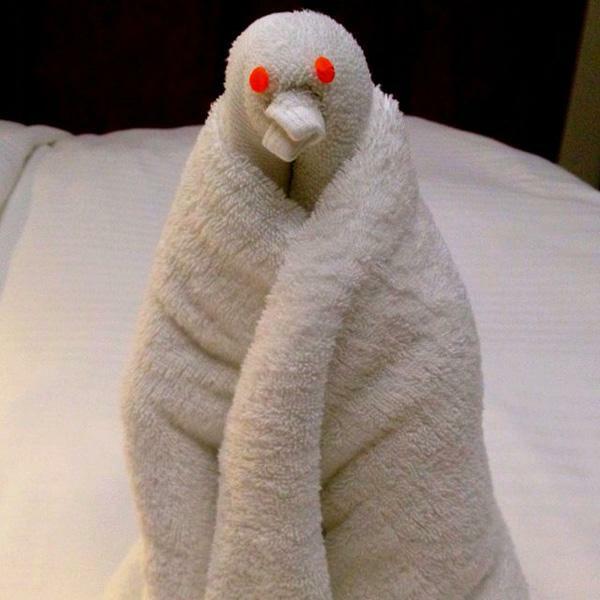 Adorable baby bird towel origami in a bed. Using two different colored towels, you can create cute little baby birds nod stuff them inside cute small towel beddings. 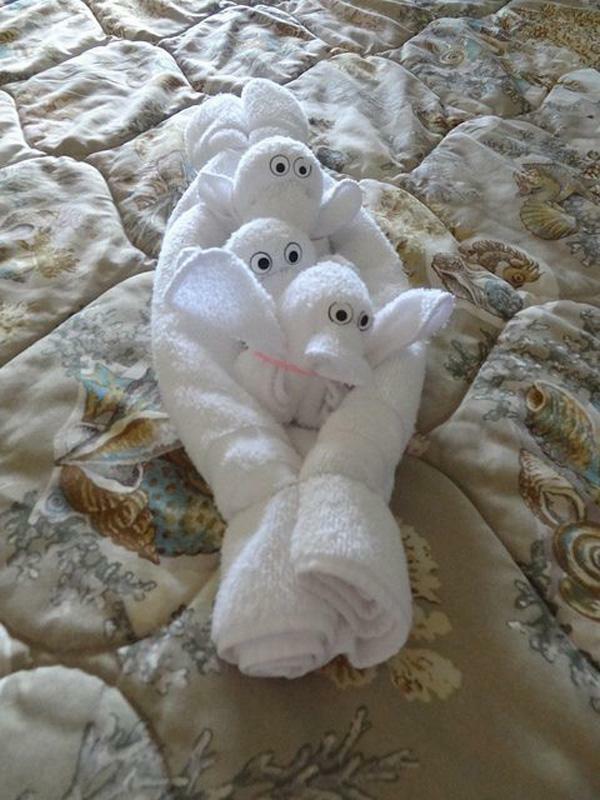 Another take on a cute elephant towel origami. This small yet very detailed design makes use of black button eyes and the towel print design to complete the cuteness. Lobster towel origami design. Feeling a little into the pacific? Have fun making this lobster themed towel design with black googly eyes design. 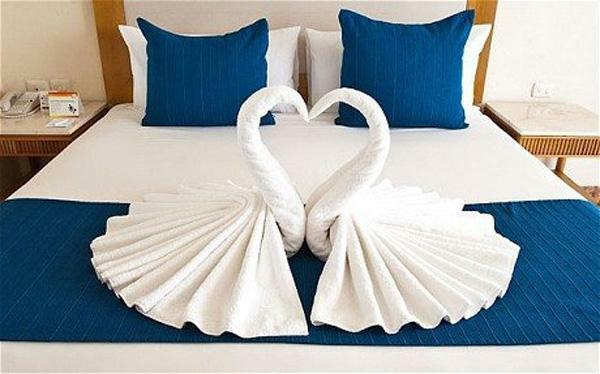 A wonderfully designed swan themed towel origami. Great for weddings or anniversaries. You can surprise your loved ones with this stunning design and sprinkles of red rose petals. 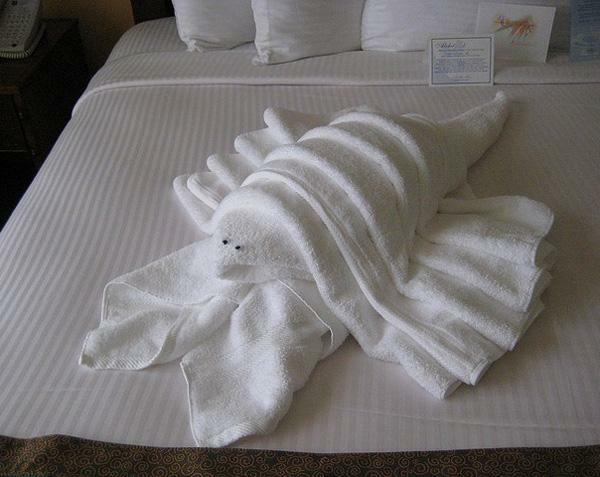 A very cute animal towel origami design. The great thing about these animal designs is you can use them in almost any type of occasion. 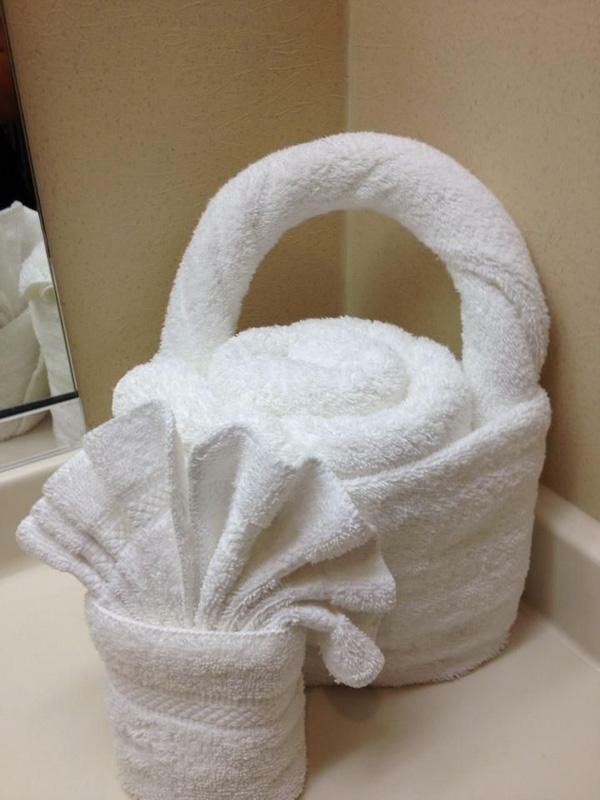 A basket and napkin towel origami design. A very creative and fun looking design where you can place a theme between two towels you are working with. A cool looking animal origami design. Playing along with your origami design, you can position them in any way and place accents such as sunglasses and paper. 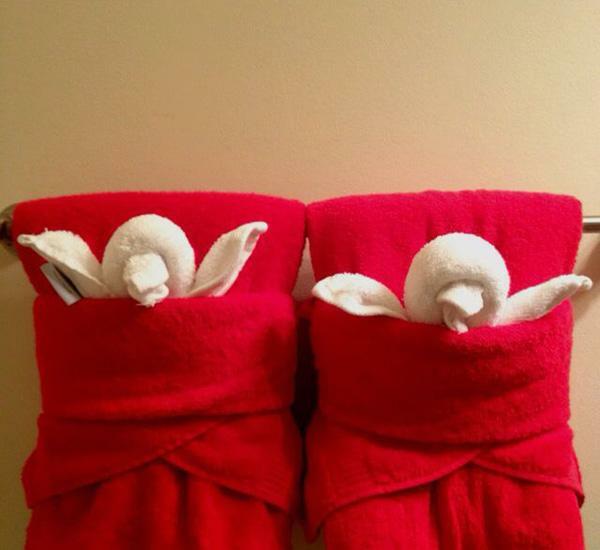 Dove themed towel origami. 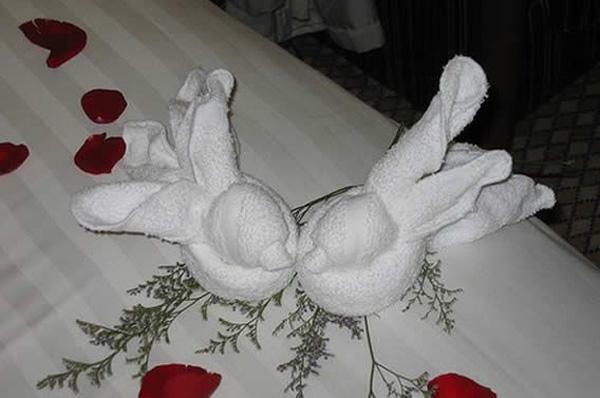 Doves are perfect themes for the white towels designs as they portrayed peace and love. A rather colorful and convincing cake towel origami. 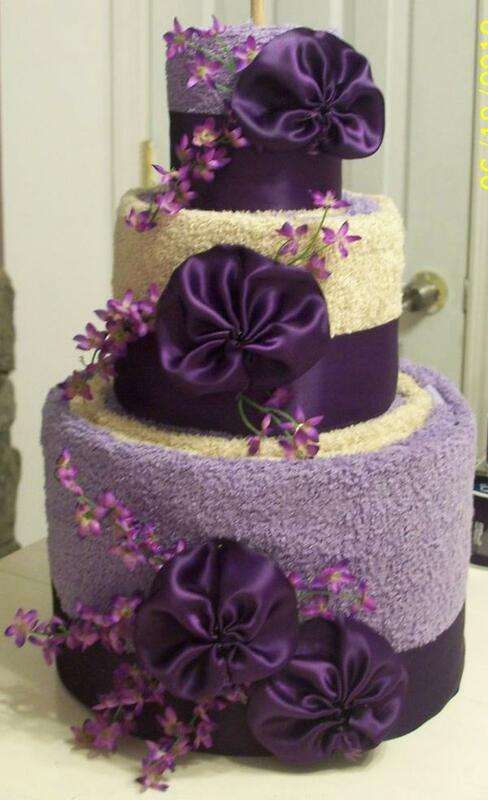 You can use two towels for this design and add more accents such as ribbons and flowers. 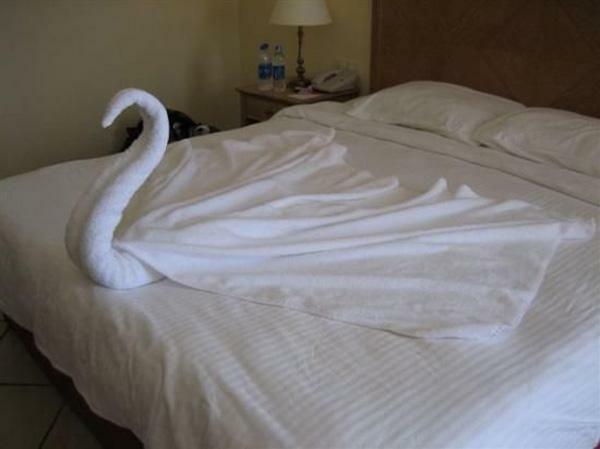 An elegant swan themed towel origami. 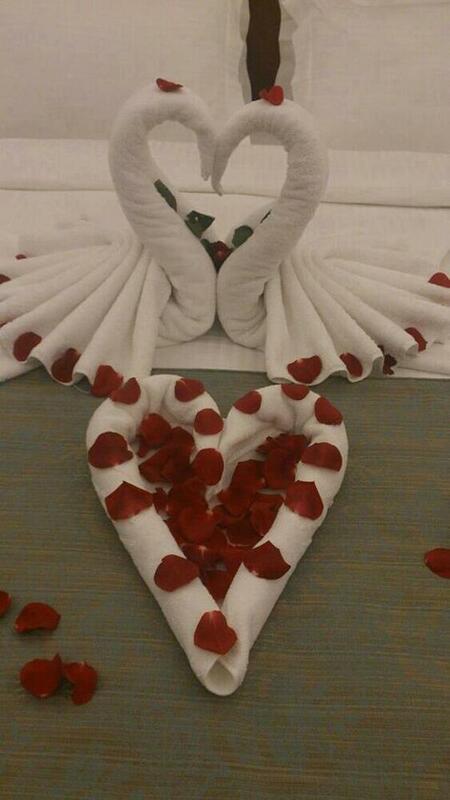 You can use two towels for this design and create a long flowing effect for the tail of the swan. 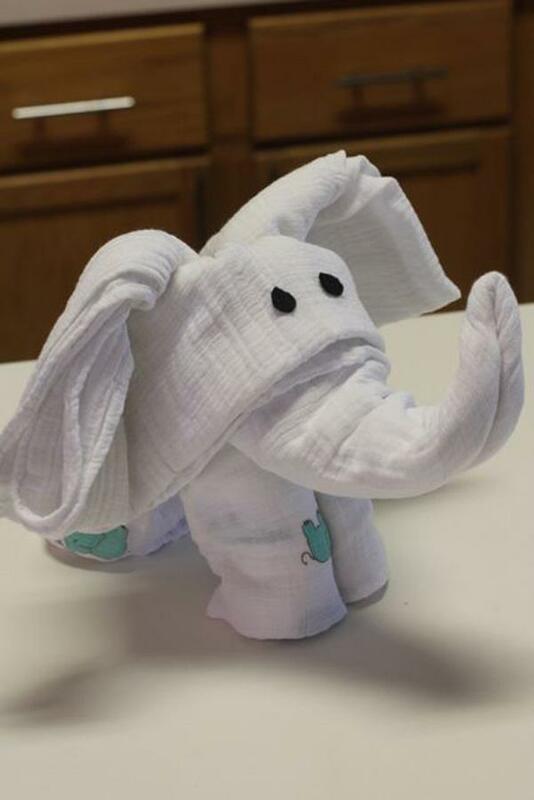 An adorable looking baby elephant towel origami. The design makes it look so huggable and very cute. 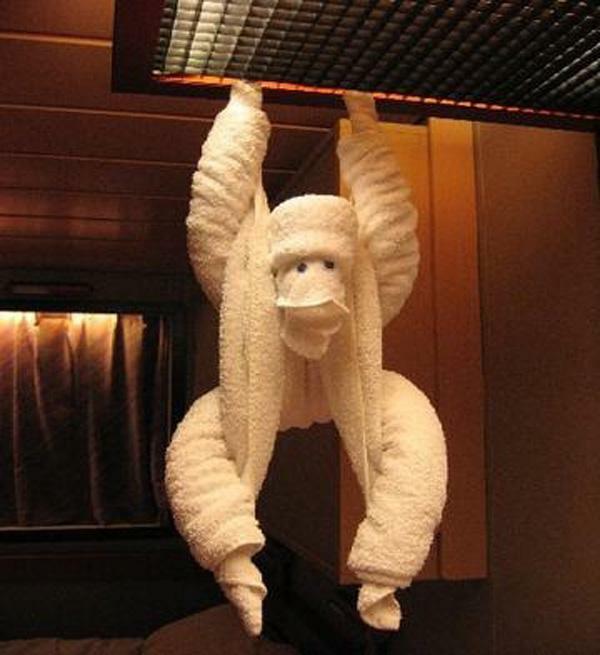 Monkey towel origami design. A rather quirky and fun looking towel design that you can definitely play with. Cheeky-looking dove origami towel design. 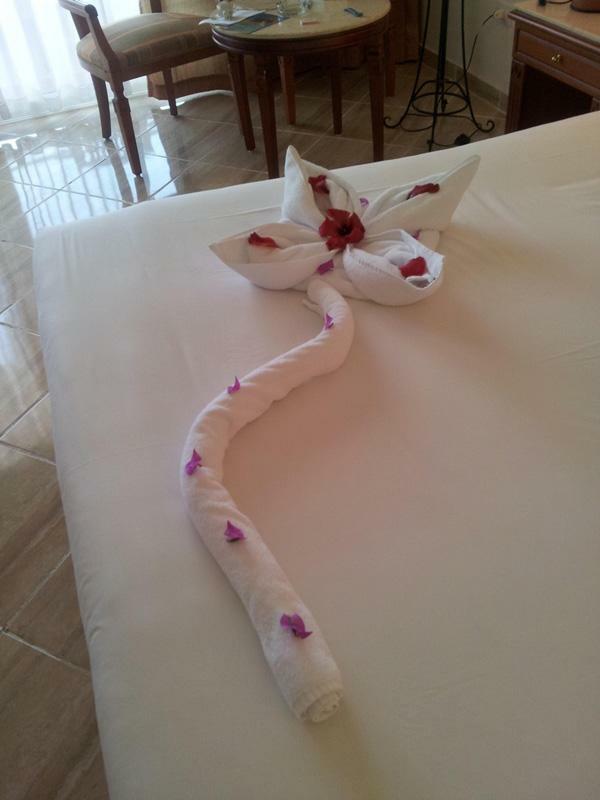 If you want to make an interesting looking towel origami then this is what you should go for. A cute baby doll towel origami. The doll like design is made to look like she is wearing a hood and dress and is carrying pink flowers. An adorable tissue and stand with a smiling face. Additional flowers and an eye accent have been added to make the towel design look more interesting. 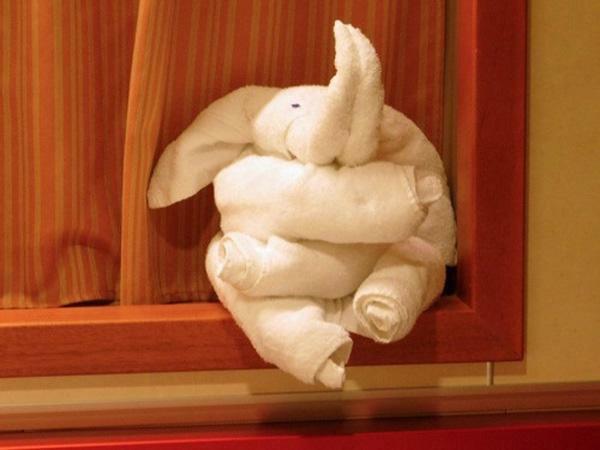 Cute elephant towel origami. Using flowers and petals as the elephant’s eyes makes a pretty accent and also makes the elephants stand out. Another cute animal towel origami design. Eyes are added on the head to convey the feeling and emotion the towel design conveys. A wonderful looking flower towel origami. Additional flowers are then sprinkled on the towel design to make it look sweeter and adorned. Cool looking alligator towel origami. This party loving alligator is quite fun to look at and the addition of the sunglasses and the ball makes the origami even more fascinating. Quirky and cute looking animal origami towel. The funny cartoon eyes help make the animal design look even more adorable and funny. This cute and engaging origami is surely fun to create. Do you have a book , if so would like to order one. Thank you Your work is outstanding. Do you have a book or video tutorial? Cool! Wish I could even gold a towel! Do you sell a book with instructions? I would be very much interested! can you show me how to make towel character of STITCH from Disney Lilo & Stitch? i want to make one for my son & I Gotcha Day (Adoption) hawaii vacation were taking xmas break 2018 to meet Stitch at Aulani. How do I get the instructions for these adorable designs?